Situated in the sought-after La Legettaz area of Val d’Isère the Lucaval occupies two floors of a handsome building in traditional style, with lots of wood and visible stonework. The bedrooms all have their own stylish en-suite marble bathrooms, and the attractive lounge/dining area has a wrap-around balcony, ideal for enjoying the views of the Bellevarde side of the valley. The chalet is just a stone’s throw from the blue run that takes you down to the main ski-lifts, with easy access to all areas. The lively resort centre is only about 15 minutes walk along the piste or you can use the free Train Bleu resort shuttle-minibus that runs until 8pm. 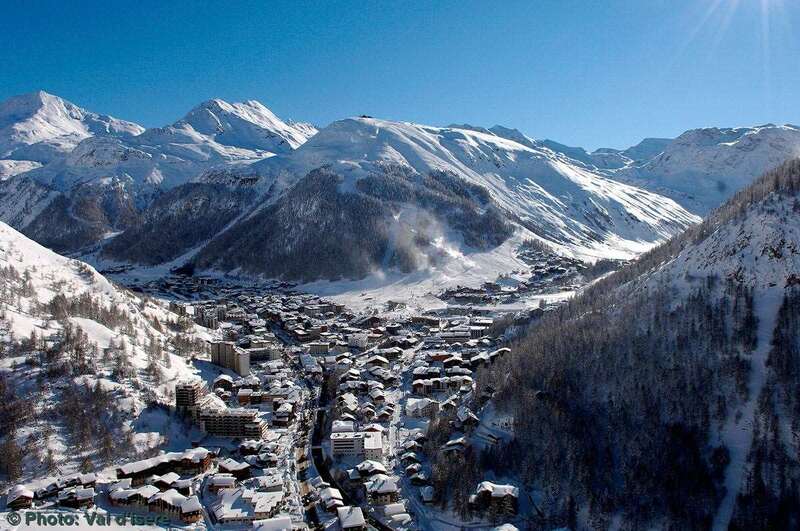 Having never skiied so late in the season we were a bit apprehensive about the ski conditions but the staff at Igluski were extremely helpful and knowledgeable in recommending a suitable resort and a chalet that met all our requirements. We got a fantastic last minute deal in a 4 star chalet that was literally about 10 yards from the piste. Although Val d'Isere is quite an expensive resort having a catered chalet meant that we didn't really have to spend an awful lot more on eating out. The management of the lifts and pistes were excellent and we didn't have to queue for more than a minute. I would have no hesitation in booking with Igluski again and hope to return to Val d'Isere again next year. This chalet does exactly what it says on the tin, fantastic place, bit too small at times, but was fine for us 9 visitors. Bit out of town, taking 15 mins walk down the piste to the bars, but thats not the end of the world, and even makes you hungry for dinner. Plus the real bonus for us was the ski in/out, literally a matter of metres from the chalet door, perfect!! Food was amazing in the evening, breakfast lacked variety at times, but the evening meal more than made up for it. One point to note, we explicitly requested a restaurant for our meal out that served Savoyard food (fondue/raclette etc), the resort rep assured us that would be the case only to find he had booked us into somewhere that hadn't (table of 15 in the end). I can only assume that he did this for the kickback from the restaurant [it is always worth speaking to our resort experts for recommendations when you book - Ed].